On Hatton Road in Bedfont, an owner ignored council warnings to stop renting out an outbuilding. After initially complying with an enforcement notice in November 2016 and being warned not to bring the outbuilding back into residential use, the owner Sadia Qureshi reinstalled kitchen facilities and re-rented the property within a year. 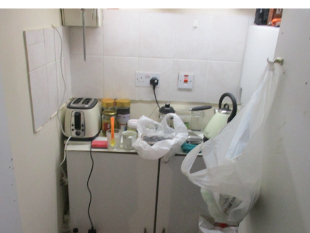 Hounslow council and the police jointly raided the property finding tenants living in archaic conditions. In a similar case, owners of a property on Bath Road, Hounslow were also served with an enforcement notice for renting an outbuilding and following another joint raid, found evidence pointing towards residential occupation. The owners Sukhjinder and Jasbir Tatla were fined £2,100. A further six property owners are being prosecuted subject to the council confiscating their ill-gotten gains - taken from illegally renting properties - while a further 13 are pending for the same action. Officers at Hounslow have so far, this financial year, taken a total of 52 illegal beds in sheds and flats out of residential use, while also demolishing 47 illegal extensions, outbuildings and canopies. The team have also been involved in the cessation of 29 businesses in the borough, all of which have caused considerable harm to neighbours. These have included a transport yard in Heston, a car wash, car yard and airport car parking in Hounslow, a fitness studio in a converted dwelling in Osterley, and a breakers yard in Isleworth. In five further cases, where the owners did not comply with enforcement notices, the council took its own measures and instructed contractors to demolish illegal outbuildings. The cost of this work is to be paid for by the owners, as well as any administrative costs the council has incurred. The council has also begun a war on estate adverts with more than 200 unauthorised adverts removed in the past year, and a project has also started to remove illuminated adverts adjacent to the Hounslow West Tube Station. While in Cranford, the council hopes to work with owners of the Cranford Spires on Bath Road to restore them to their former glory and improve the street scene. “We will continue to take the strongest possible action against the few unscrupulous landlords and letting agents who ultimately put profit above the safety of their tenants.